I’ve always been fascinated with “Milk and Cookies” for a party theme, I mean who gets milk and cookies at a party unless its a pajama party, right? Now this theme is truly and wholly dedicated to that, its easy to execute and what’s not to love—-c’mon it’s milk and cookies we’re talking about. The fascination became stronger when I came across this 6-pack set of milk bottles from 5 below, they were selling it for just $5. Hmmm..not bad at all. A week after seeing those bottles at 5 below, I happened to be at a Target store and I always visit their dollar section at the entrance. They had a bunch of good finds especially for fall—burlap runners, burlap strings, halloween decorations, the usual socks, dollar treats and they had decorative steel buckets and steel milk canisters as well. The milk canisters are similar to this photo and they were sold for only $3/each, at that time I knew I just had to get at least 2 of these canisters and I had to go back for those milk bottles at 5 below to keep for a future “Milk and Cookies” party I’d be throwing for Cassie if not for a baby shower with my friends. Marco and I finally had the time to pass by 5 below again I went in and was relieved to see a few more boxes of those milk bottles, I quickly grabbed 3, paid for it and was surprised when the cashier told me that I only had to pay close to $8 for all 3 boxes. Noticeably with a puzzled look on my face, he was nice enough to inform me that the milk bottles were actually on sale and were half off, he even grabbed 4 boxes for himself just the other day. I quickly thanked him and slowly walked towards the parking lot where Marco was waiting for me. I told him him about the sale and asked him if I should get more, he agreed and so I did. Another 6-pack of milk bottles for $2.50, not bad…not bad at all. Looks like we’re really pushing through with that baby shower. And since we received a $20 gift card for TJ Maxx, we found a cute winter onesie set for Cassie that was on sale and we ended up using the rest to buy 2 big vintage glass milk bottles for $3.99/each (as seen below) and a vintage glass cookie jar for the party. Thanks to the gift card Marco and I only ended up spending around $23 for the 4 boxes of milk bottles, 2 galvanized milk canisters and the vintage bucket. Now I tend to go overboard with the printables, I like to see the variety of free printables the online world or “Google” has to offer. And if I see that they’re not up to par with what I’m looking for then I just make my own. For the invitation I couldn’t find anything that was just simply black, white and red. Other than “milk and cookies” I wanted everything to be in those three colors; it’s plain, basic and simple. So I turned to ever reliable Microsoft Word (I’m pretty sure there’s an easier program out there and a better one at making simple invitations but MS Word works for me), googled “cow borders” and this one came up, I got it from Cliparthut.com . It had a watermark in the middle and soI worked around it by putting a big thick black border in the middle,I could’ve edited it out but it worked anyway. 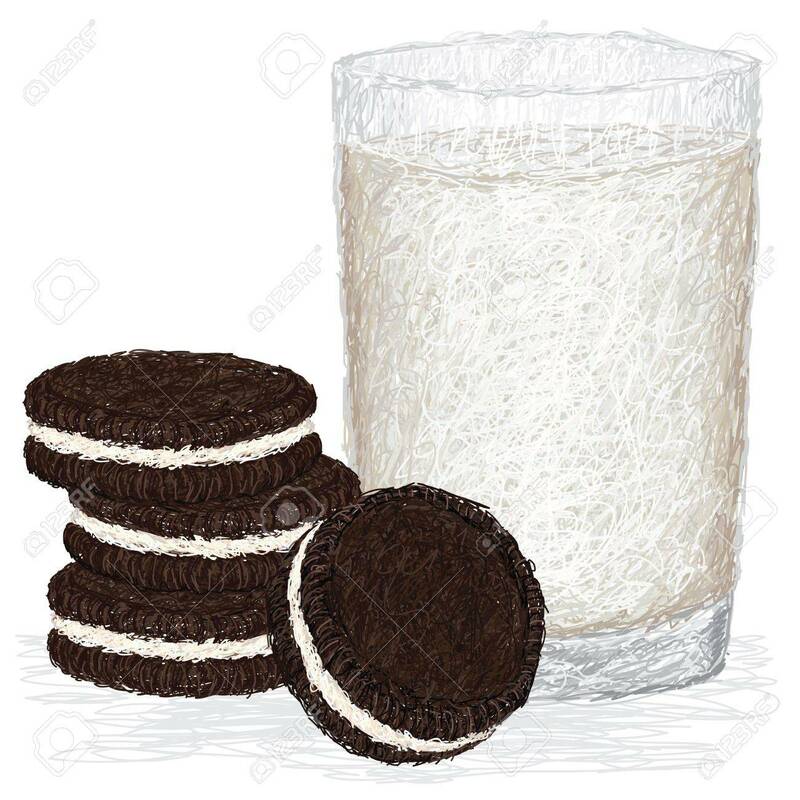 Next I googled “milk and cookies” illustration and found this one, credits go to Jomar Aplaon who made the illustration and who happens to be from the Philippines too. Then I pretty much just filled up the entire thing with the details of the party. And since we decided on Tuesday to push through with this thing even if I’ve been feeling extra and heavy and sluggish the past few days, we sent the invitation through text, Viber and Facebook of course. I also ended up making a cover photo for the event on Facebook. 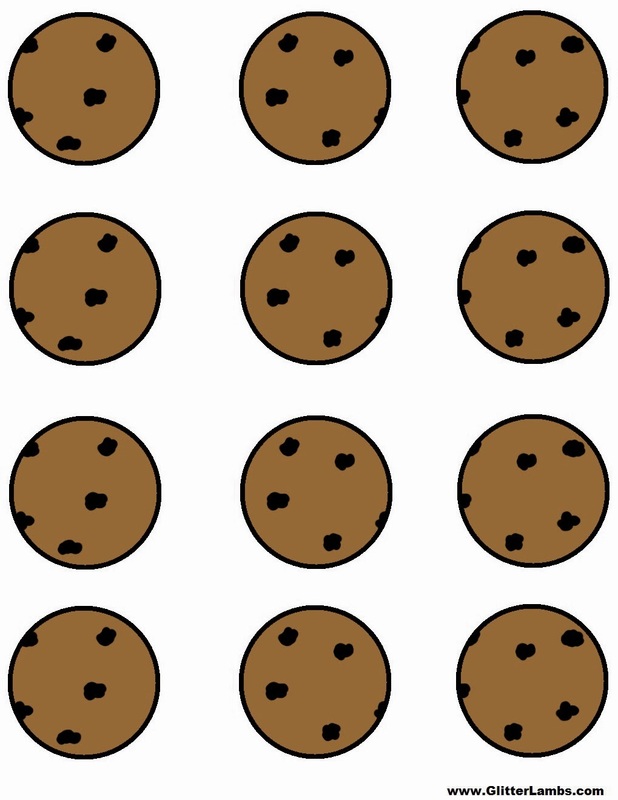 I just googled “Got Milk Logo” and pretty much added the “…and cookies?” part. The template for the game word scramble I recycled from the baby shower in the Philippines. I just changed the color of the border line from pink to red and changed the actual borders from chevron to cow spots. I made “Onesie Wishes” for the tea party baby shower in Manila and decided that this time it would be ice to have the titas and titos write wishes for Cassie on milk canister cut-outs. Thanks to Simplybovine.com for this free cow spots banner printable. I actually found it a few minutes before the start of the party when I realized that the other table looked bare. There was no time to put these cut-outs on a string so I taped them directly to the white disposable table cover. And since the prizes that were wrapped in clear plastic bags, tied around with white curling ribbons looked bare as well, I looked for printables that I could attach to it just to give it more character and found these cute chocolate chip cookies by Glitterlambs.com . The “thank you” tags were made with MS Word as well. I looked for blank tag outlines and pretty much embedded the Milk and Cookies illustration right in the middle and placed the following text as seen. Note how the cake isn’t on the dessert table and the 2 vintage milk bottles are missing as well. Marco and I waited for the guests to come before putting those out. The plastic jars were recycled, they were actually containers of the lychee coco jelly we get from the Asian store. I like how their covers are red but they were too big for us to fill-up so I ended up combing two kinds of cookies in one big jar. The other clear plastic containers were recycled from other parties, you can just get them from Dollar Tree or any dollar store and it’s intentionally plastic so when someone accidentally knocks it over, we won’t have to deal with any shattered glass problems. To provide levels on the dessert table, I wrapped old shoe boxes and made sure they were sturdy enough to hold whatever is on top of it. Cocktail Punch—mixed fruit punch, orange juice, ginger ale and a few slices of lemon. Voila! Didn’t get to take photos of the food but we had Cocktail Meatball in cranberry and barbecue sauce, Cocktail Smokies in grape jelly and barbecue sauce, Potato Salad, Domino’s Pizza and Marco’s family dip and chips for merienda. You did it sweetie, the dip was a hit. This whole thing was literally a Marco and Rhea production, I love you Marc. Not bad for a Target Cake. I’m actually impressed. Cake slicing with this dork of mine. Cassie will have a handful to read when she’s all grown up but she will feel loved. The prizes—Krispy Kreme scented candles and Udderly Smooth Hand lotion. Riley’s matching mommy Jo now. Okay we’ll admit it, we’ve never been so happy to see this much diapers and baby wipes. Mason jars from Walmart filled with different flavors of cookie bites— Chips Ahoy, Oreo, Nutter Butter and Ritz Bits Cheese (technically biscuits but whatever). Take one for the road, hope you enjoyed guys and thanks for coming!